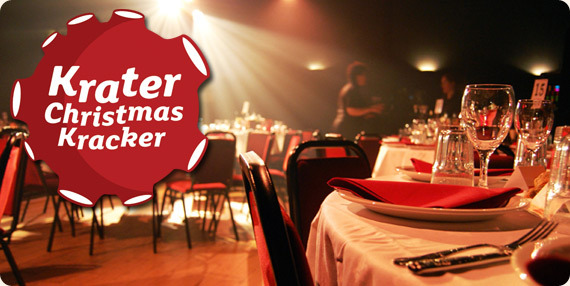 Krater Christmas Krackers is without doubt the perfect Christmas party night for any sized group – large or small. Ticket prices range from £39.50 – £49.50pp, depending on the time and day of the show. It includes a 3 course Christmas meal, 2 top stand up acts, compere and dancing until midnight. The delicious menu consists of confit Duck Leg, Roulade of Pork Belly, Poached Haddock, Wild Mushroom Chestnut and Gruyére Tart plus a vegan/gluten main course is available on request. This year’s Kracker acts will include: Doc Brown, Craig Hill, Eddy Brimson, Ben Norris, Carl Donnelly, Addy van der Borgh and MC Stephen Grant. 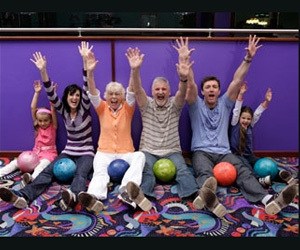 Bowlplex – THE CHRISTMAS PARTY! 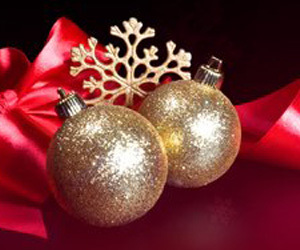 Spoil yourself this year with one of Rendevouz Casino’s festive packages. No 1. WINTER WONDERLAND PACKAGE : Arrive to a glass of mulled wine/mulled cider and a mince pie followed by a 3 course Christmas Dinner, Festive cocktail, Red Casino Challenge, Including Play Your Cards Right, Blackjack and Roulette. No 2. DECK THE HALLS PACKAGE: Arrive to a glass of mulled wine/mulled cider and a mince pie, followed by a 3 course Christmas Dinner. A Learn To Play session including £5 worth of 10p chips, Red Casino Challenge available for an additional £5 charge per person. Prices available on request. 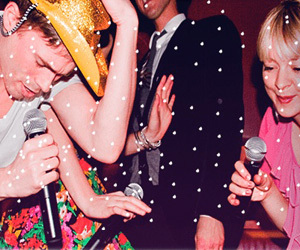 Lucky Voice is the UK’s number one karaoke experience, perfect for your Christmas party! If you hire a private karaoke room for you, your colleagues and friends, you can sing from thousands of songs, use their ‘thirsty’ button to get waitress service to your rooms and sample their amazing cocktail menu. The Icing on the cake; if you book your Christmas party before 31st October you’ll get a free bottle of bubbly in your room. Their Christmas period starts on Sunday 25th November and runs until Christmas Eve. 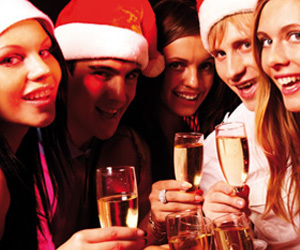 If you have not arranged your staff or office Christmas party event yet, don’t worry. 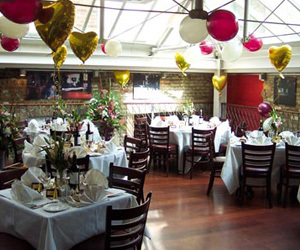 Al Duomo Restaurant have got something for everybody, from a lunch or dinner for a small group to something a little more intimate in one of their private rooms. They also offer nights of exciting musical entertainment such as Spaghetti Opera and Christmas Boogie Nights. We recommend you try the Christmas Deluxe Menu: a three course set menu at £27.50 for all 3 courses and comes complete with crackers and party poppers. This year Brighton Racecourse has a great selection of packages, menus and promotions to make any Christmas Party an experience you will not forget. Whether work colleagues or a group of friends, party nights at Brighton Racecourse make a magical and memorable night! Party packages starting from only £32.50 based on minimum numbers of 50. For more information on their packages please contact the events team on 01273 603580 or events@brighton-racecourse.co.uk. Celebrate Christmas with colleagues and friends at the Hilton Brighton Metropole hotel in association with Juice 107.2. 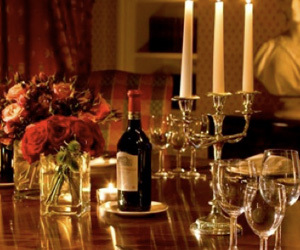 Arrive from 6.30pm to meet in the hotel bars before indulging in a delicious three-course meal at 7.30pm including half a bottle of wine per adult. Then party the night away with a Juice 107.2 DJs until 1am. Dress code: Smart casual, no jeans or trainers. Their Christmas menus start on the 29th November and start from £15 pp (Wednesdays). 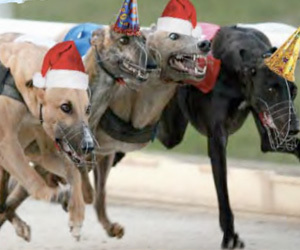 All Christmas diners receive complimentary entrance and race-card. From the first Saturday of December until the 22nd all Saturday diners will receive complimentary entry to the after race disco. They also have a fabulous Boxing Day package for £30 pp which includes a slap-up Bucks Fizz breakfast. Of course every visit to the track comes with at least 12 thrilling greyhound races. The Grand Hotel in Brighton offers you the perfect setting for celebrating such a special time of year. Relax in warm Victorian splendour, enjoy traditional hospitality and indulge in contemporary luxury at Brighton’s most well-respected hotel by the sea. Treat yourself, your partner, family, friends or your colleagues to an unforgettable experience. Their programme of seasonal events has something to suit everyone’s tastes; from a range of sumptuous dining experiences to opulent private parties. Alternatively, you could leave your festive arrangements in their hands entirely and enjoy a home from home Christmas break with them.